Many store-bought household cleaners are expensive and bad for the environment. Frugal green cleaners allow you to clean your home efficiently while saving money and doing your part for the environment. Making the transition to using safe, affordable cleaning products can be easy as long as you know where to start. Part of the key to going green with your housecleaning is to make your own cleaners. Simple household ingredients often work better than products you can buy in the store. Homemade cleaners also cost less to make, saving you plenty of money every month. Baking soda, lemon juice, salt, and olive oil are all common household items that can work wonders cleaning your home that can be used on their own to clean messes, freshen carpets and refrigerators, and remove stains from furniture. You can make your own powdered detergent with just a few simple ingredients. Borax, shaved bar soap (such as Ivory), and baking soda are the required ingredients for this easy-to-mix detergent. As you become more experienced at making your own laundry soap, you may want to experiment with adding essential oils for a perfumed detergent. Remember to use your clothing line to dry your clothes naturally and to cut down on your energy usage. Some products seem like they might be more difficult to make. Even glass cleaners can be made with non-toxic materials. Rubbing alcohol and water combined in equal parts can be used for a streak-free glass cleaner that keeps your windows and glass tabletops clean. It is also ideal for removing labels and stickers off dishes, mirrors, and other items as well. Use a reusable plastic spray bottle from the dollar store for this handy household cleaner. Furniture polish is surprisingly easy to make using natural ingredients. Use three parts olive oil and one part white distilled vinegar to get the base for this cleaning product. Any citrus-scented essential oil can be used to give this polish the clean smell you look for in a household cleaner. I personally love lemon, lemon grass, and grapefruit. Orange essential oil would also be delightful too. 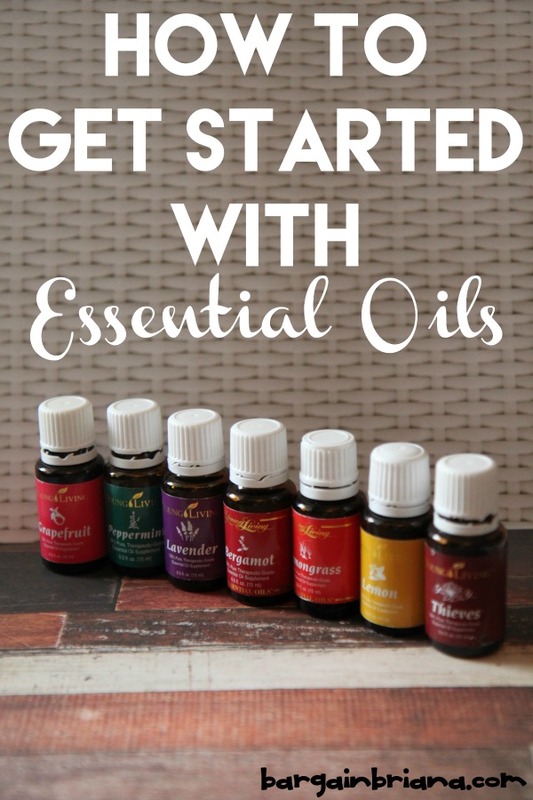 I personally only use Young Living Essential Oils and you can read more about why over at this post on How to Get Started with Essential Oils or you can order directly from my Young Living Essential Oils page. While it is usually cheaper to make your own cleaning products, more and more stores are starting to carry green cleaning supplies. Be sure to compare prices and read ingredient labels closely. If you see any ingredients you can’t pronounce, the cleaners are not likely to be as green as they claim. You can sometimes find store-brand green cleaners that are less expensive than brand names. These products come in handy when you don’t have the time to make your own frugal green cleaners. Search our coupon database for coupons available on your favorite cleaning products. Keeping your home clean doesn’t have to mean using harsh chemicals or spending a fortune on cleaners. Frugal green cleaners give you all the cleaning power you need to remove stains, clean windows, wash laundry, and polish your furniture. The cost of these products is just a fraction of what you might pay in a store, but the results are identical to those you get from expensive cleaners. 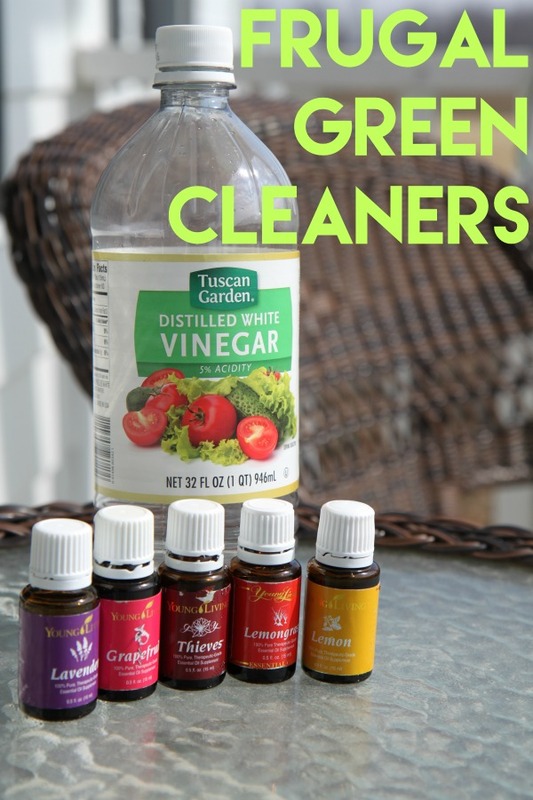 I love using vinegar or apple cider vinegar with essential oil to clean, get stains out of clothing and so much more.